Unfortunately, this type of hearing damage can occur over the course of months or even years, so people don't notice it is happening at first. To help combat this huge problem, OSHA has issued a number of requirements that employers must follow regarding hearing protection. 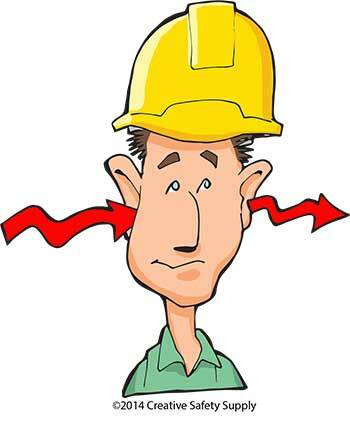 OSHA's standards are laid out under the standard number 1910.95, which covers occupational noise exposure. Learning about these standards is not only important for remaining in compliance with the government regulations, but also for ensuring employees are given the protection they need. Just because someone doesn't notice the noise, however, does not mean they are not damaging their hearing. People who work in loud environments without sufficient hearing protection will likely experience permanent hearing loss, tinnitus, or other hearing-related problems that can affect them the rest of their lives. 90 dB - Environments that have consistent noise below 90dB do not have to provide hearing protection unless an employee will be exposed for 8 or more hours. 92dB - Any employee who will be exposed to noise at this level needs hearing protection if exposed for 6 hours. 95dB - At this level, it is safe to be exposed without protection for up to four hours. 97dB - At 97dB someone can be exposed to the sound for up to three hours without hearing protection. 100dB - 100dB is only safe for about two hours, according to OSHA. 102dB - At 102dB, someone should get protection if they will be exposed for more than 1.5 hours. 105db - People in this environment for one hour need hearing protection. 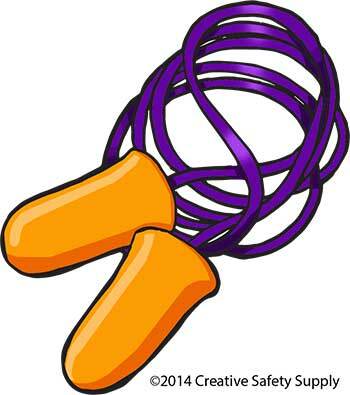 110dB - It is only safe to be around 110dB for 30 minutes or less before hearing protection is needed. 115dB - Noise at this volume is only safe for up to 15 minutes without protection. OSHA sets requirements for how long someone may be exposed to loud noises and for when hearing protection is needed. 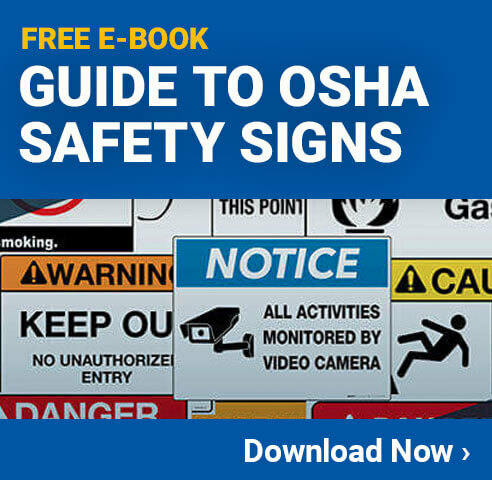 In general, OSHA doesn't say exactly how an employee must be protected from the sound. Different situations are best served by different types of hearing protection. Noise Absorbing Panels - Installing noise absorbing panels throughout the facility can help to dramatically reduce overall noise levels. These panels can reduce or eliminate echoes, which are a big source of noise. Mufflers on Machines - Machines or vehicles that have gas engines on them can be very loud. Having a muffler installed can reduce the overall noise levels. Modernizing Machines - In many cases, newer machines run much quieter than older ones. Consider replacing machines or bringing them up to modern standards to reduce noise. Containment - Locating particularly loud equipment in a soundproof room can help reduce the noise in the rest of the facility. In many cases, these machines can be operated by someone outside of the room, which reduces the noise levels for everyone. Of course, these are not the earmuffs designed to keep people warm. They are made to stop noise from getting to the ears. Some types of highly advanced earmuffs are actually built with a microphone on the outside and small speakers on the inside. These earmuffs can "listen" to the environment and replay sounds at a safe volume to the person wearing them, eliminating much of the noise in the process. This makes it possible for people to talk freely in loud environments, without being at risk of hearing loss. Measuring how loud an environment is should be done at a number of different points throughout the facility. This is important because noise can be significantly louder or softer depending on where someone is standing. If OSHA does an inspection and they find that one area of the facility is above the level at which hearing protection is required, a facility will get a citation if the employees aren't using hearing protection.